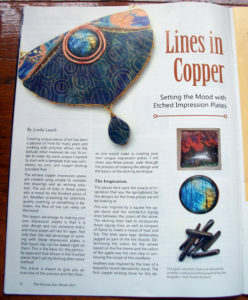 The December 2017 issue of Polymer Arts Magazine included an article on the Etching Alternative technique and the inspiration behind the statement pieces of jewelry. Each piece then creates a mood. 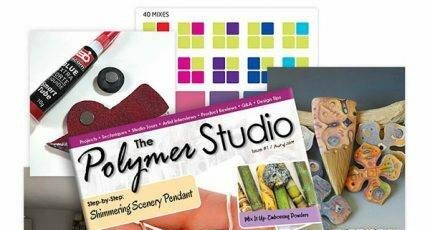 The magazine is no longer being published, but issues are still available at: The Polymer Arts.